The City of Hallandale Beach marks the southernmost point in Florida’s Broward County. The vibrant beach community, which is home to 40,000 residents, including many part-time residents looking to escape the winter months back north, is also home to the famous Gulfstream Park Race Track. Thanks to its warm Atlantic waters, beautiful beaches, and diverse population, it boasts one of the fastest-growing areas in Broward County. For this bustling community, when it comes to maintaining a vibrant website that reflects the city’s commitment to progress, innovation, and opportunity, it has chosen the civic engagement and website security experts at CivicPlus® and their reliable CivicEngage® website content management system (CMS). 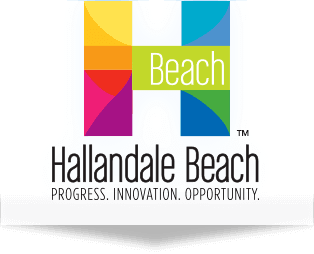 Prior to partnering with CivicPlus, the City of Hallandale Beach relied upon a CMS that was not easy to maintain. According to Greg Chavarria, City of Hallandale Beach Assistant City Manager, the difficulty of the CMS system led to administrative inefficiencies and delays in citizen communications. Once the decision was made to transition to CivicPlus, the city’s focus shifted to the implementation process, which, according to Chavarria, was very well-managed. To further its strategy to decentralize its content update workflows, the city has implemented a cross-training program to ensure every department has access to knowledgeable internal staff who can confidently utilize the CivicEngage CMS. “We initially trained six people, but after our training with CivicPlus, we cross-trained 14 resources across the city,” said Chavarria. According to Chavarria, the ease of use of the CivicEngage platform has improved the city’s ability to communicate important information in a timely manner. According to Chavarria, with the city’s current CivicEngage website, citizens benefit from the ability to easily search to find the information they are looking for. From an administrative perspective, for Chavarria, the greatest benefit in the CivicEngage CMS is in its ability to allow him and his staff to keep citizens apprised of news and information timely. According to Chavarria, unlike other websites he has managed, with CivicPlus, he has never been concerned about the security of the City of Hallandale Beach’s website. For the City of Hallandale Beach, not only does CivicPlus offer a functional CMS and a secure platform, according to Chavarria, it offers a basis for the city’s citizen engagement efforts. If you're ready to redesign your civic website, start by downloading our Local Government Website Redesign eBook. This comprehensive guide will offer advice and guidance from strategy, to design, to execution.